In May of 2013 we found a blog post about a precious little girl. The post included nothing more than a fuzzy picture and a paragraph of vague information including the fact that this little one had been born without eyeballs, yet as I read it I felt my heart fall for this child who I knew was my daughter. At the time my husband and I were 26 years old and had not been actively pursuing adoption, although we had discussed it as something we would like to do in the future. We knew that it would take a miracle to bring this little one who had captured our hearts home because we did not have the ability or resources to do it ourselves. We stepped out in faith knowing that God would provide, and we had the great joy of watching Him do so in amazing ways! 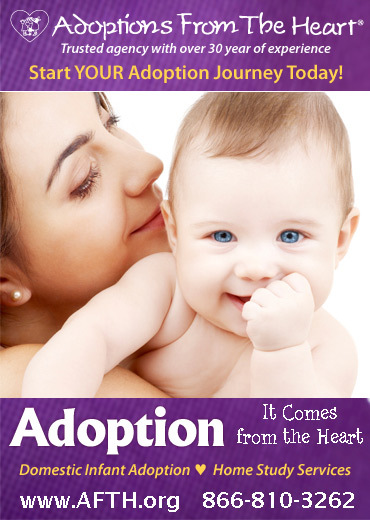 The first step we took was to email the adoption agency that had written the blog post to ask for more information. We were told that this little girl was from the Republic of Georgia and that typically they did not receive much information about the children from Georgia. We began the process to bring our daughter home. We received a few updated pictures of her and learned her real name a couple of months later but did not know her birthdate or any other specific information about her until we received her official referral seven months after we began the adoption process. What we did know was that she had our hearts and that we would do whatever we could to bring her home. We watched as our friends and family rallied around us and as God provided every penny that we needed. Toward the end of November 2013 we were told that there was a chance that we may be able to travel to Georgia to meet our sweet girl around Christmastime. We were surprised but thrilled! December passed and then in January we finally received the referral we had been eagerly anticipating. We thought that we would travel soon. After that is seemed as if there were several steps that needed to happen that we had not been aware of, so we kept waiting. The Georgian adopiton program is very small, so the process is not as easy to understand or as well-defined as in some other countries and we were completely new to adoption and parenting in general. Finally, in April of 2014 we flew to the Republic of Georgia and met our daughter one beautiful spring afternoon. The following week we participated in the court hearing at which we were officially declared her parents. While we were in the Republic of Georgia we were able to visit our sweet girl each afternoon at the children's home where she had lived since she was born. Sometimes the visits would be 45 minutes and other days they would be 3 hours. We had tried to learn as much Georgian as we could, but nobody at the children's home spoke English and we did not speak great Georgian. 20 days after we met our sweet girl we said goodbye to the wonderful staff at the children's home who has taken care of our daughter for the first 3 years and 3 months of her life and we were able to bring her to stay with us at the bed and breakfast where we were staying until we were able to fly home later that week. In the months before we traveled to the Republic of Georgia we learned as much as we could about Georgia's history, language, politics, and culture. We fell in love with this country that has a rich past and the Georgian people who are fiercly proud of their culture. While we were in Georgia we were only able to visit Salome for a short time each day so we took the opportunity to explore museums, historical sites, churches, and many amazing restaurants where we savored the delicious Georgian cuisine. We also enjoyed celebrating Easter, one of Georgia's most important holidays, by attending an all-night service at the Georgian Orthodox cathedral in Tbilisi. We learned that Georgians deeply value hospitality and will do whatever they can for their guests. We gradually realized that this was why we had been given unrealistic timelines several times during the adoption process. While people in the United States will often give the worst-case scenario for how long something will take Georgians seemed to give the most optimistic estimate possible because they did not want to disappoint us. WE learned that Georgians deeply value people and especially children. We quickly discovered that the nannies at the children's home where our daughter had spent her first three years really cared about her and wanted what was best for her, but they simply did not have the knowledge or resources to teach a child who was blind. Even people who were well educated who we talked with there did not realize that it would be possible for our daughter to learn to read, attend school alongside sighted students, and one day go to college and get a job. They were thrilled to learn that she would have these opportunities. We will be forever thankful for all of the wonderful staff at the children's home who taught our daughter to sing and took care of her to the best of their ability. Several days after our daughter left the children's home for the last time we flew back home to the United States. By this time she had learned a number of children's songs, and we sang them to her the whole way home. For a couple of months she wanted to be held or to have me right by her side constantly. We sung to her or counted with her almost every moment that she was awake. If she was upset we would count up to a big number such as 300 and that made her feel safe. Within a few months of her homecoming she was able to sing dozens of songs, count to 100, name the letter sounds for all of the English alphabet letters, and speak conversational English. We learned to give her time to feel safe and to focus on showing her that we were always there for her and that we loved her over expecting her to work on skills that we knew would be important in her future. Her blindness was really no obstacle for her, but some of the post-orphanage issues that she faced were challenging. At first she was terrified to take off her clothes and shoes. She did not know how to chew, could not use eating utensils, and would not touch food with her hands. She did not acknowledge pain of any kind so it was difficult for us to tell when she was sick or when she had been hurt. She desperately desired to please those around her and she wanted herself and everyone around her to be happy at all times. These things took time and consistent love to address, and some of them continue to impact her everyday life, yet we were blessed to have the amazing opportunity to watch her grow and blossom as she began to feel safe in the love of her family. Today, after a year and a half home, she tells us that she loves us many times each day. She frequently makes up songs about her family, our love for her, and her love for us. She independently eats a variety of foods. She loves to swim, jump on the trampoline, swing, explore new places, do gymnastics, and sing. She is fascinated by science and can discuss states of matter and chemical properties with ease. She loves to add and subtract, understands place value for large numbers, and will ask to do math word problems for as long as we will give them to her. She can read and write simple sentences in braille. She not only walks with confidence but often run. She absolutely loves life and learning and she approaches each new day with joy. When she writes on her brailler she insists on ending every sentence regardless of its content with an exclamation point, and I believe that simple fact illustrates how she lives each moment with passion. We are so blessed to have the opportunity to be a part of the beautiful story of her life! Top 5 Reasons to Adopt from GEORGIA!